The Pure silk saree with the combination of different shades of orange color and doubled border. 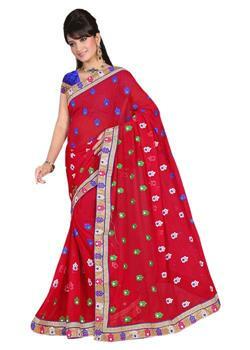 The pallu is ornamented with attractive designs in silk fabric. It looks great with pink and white border in orange color. it comes with customized blouse fabric.